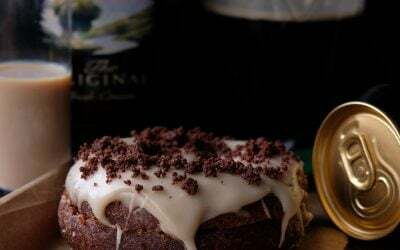 On February 8th, Crosstown launches a limited edition chocolate doughnut in partnership with award winning bean to bar UK producer, Pump Street Bakery. 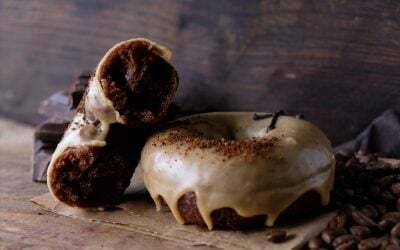 The collaboration is the third in Crosstown’s Single Series range, which uses select single origin ingredients from like-minded partners to create a range of unique premium doughnut flavours. The new doughnut combines Crosstown’s chocolate sourdough with Pump Street Bakery’s Ecuador Hacienda Limon 75% dark chocolate in 3 ways to showcase the intense flavours of the bean; a dark chocolate custard filling topped with a chocolate ganache and finished with a sprinkling of dark chocolate shavings. Crosstown selected this particular chocolate for its rich, arthritis dark flavour and notes of caramel, roasted coffee and honey – flavours that typify a bitter-sweet chocolate lover’s doughnut. The collaboration is the third in Crosstown’s Single Series range, which uses select ingredients from like-minded partners to create a range of unique premium doughnut flavours. The partnership draws focus to Pump Street Bakery and Crosstown’s shared passions for both sourdough and chocolate. Both producers also have a strong focus on handmade processes, and using quality seasonal ingredients.